OUR CLUB services the North Bellarine Peninsula near Geelong, encompassing the communities of Portarlington, Drysdale, Clifton Springs, Indented Head, St Leonards and surrounding district. Meetings are held on the first (business) and fourth (dinner) Wednesdays of each month. As well as working hard for the community, members enjoy many social gatherings and make lasting friendships. The Lions Club of Portarlington Inc was chartered on 7 December 1970 under the sponsorship of the Lions Club of Corio. As more members were sourced from Drysdale, the name was changed some time later to ‘Portarlington/Drysdale’. The Club has its own ‘Den’ situated in the grounds of Portarlington Lions Village(see Link) and meets on the second and fourth Wednesdays of each month. 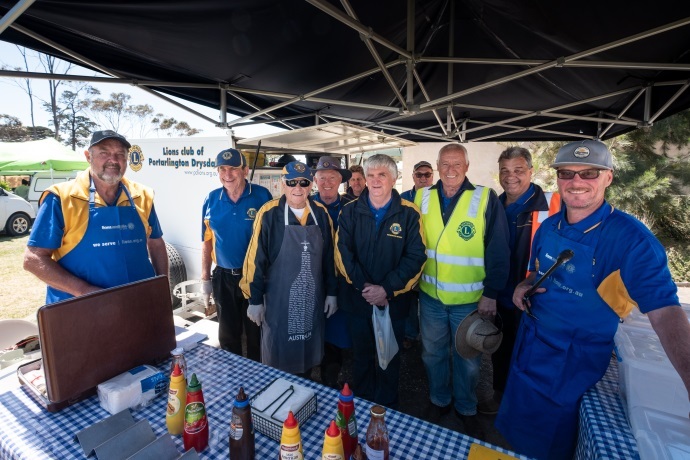 Lion Alan Vallance is the Club’s sole surviving Charter member, while the Club has produced two District Governors – the late Lion Adrian Mannix OAM and Lion Trevor Hirth. Over the years, the Club has been involved in many and varied projects (see Projects) but two stand out: establishment of the Lions Village and our famous Crayfish Spins that have been a hit with locals and holiday makers since 1973.